Religion, bonfires and an abundance of colored chalk — India’s Holi Festival could just be one the world’s most beautiful celebrations. Faces were masked with color, and social rules were relaxed last weekend in India; it’s no surprise that numerous communities overseas are also jumping on the multi-colored bandwagon and wishing each other a ‘Happy Holi’ too. 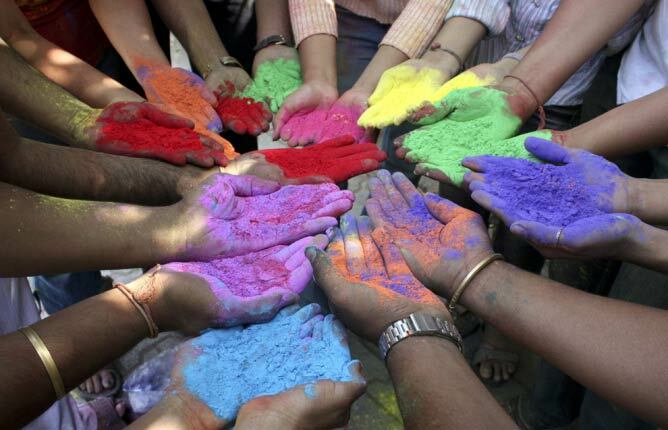 Every year, the Holi Festival brings a rainbow of chalk to the streets of India. 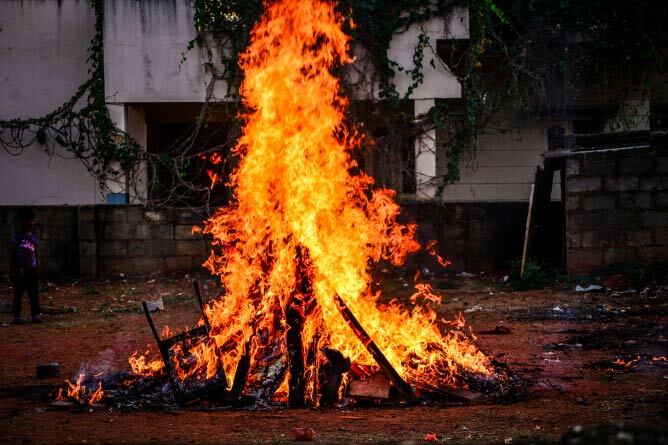 The Holika bonfire is ignited the night before the Holi, bringing people gathered together for an evening of dance and song. The following day, the bonfire gives way for a free-for-all carnival of color. Participants play, chasing each other with colored water and powder. The festival’s intention is to bring together strangers, uniting the rich and poor, men and women, children and elders — people who might not mingle otherwise. 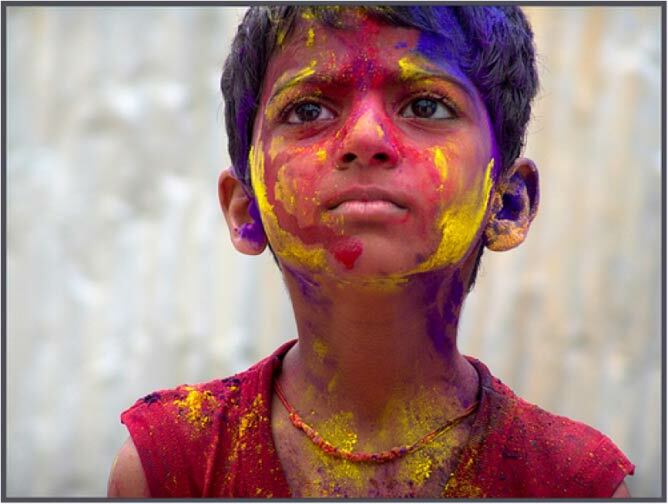 Holi Festival is celebrated at the approach of the vernal equinox, which is on the Phalguna Purnima and typically at the end of February or beginning of March. The festival signifies the victory of good over evil, the arrival of spring and the end of winter, and an opportunity to meet others. People are brought together to play and laugh, forget and forgive, to repair ruptured relationships. 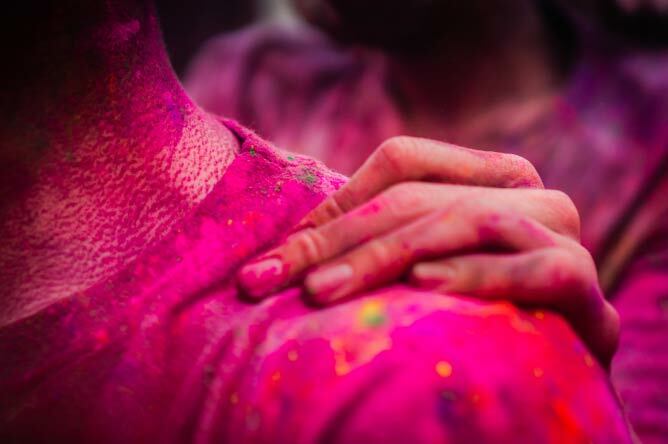 The Holi Festival is known for being the festival of colors, or the festival of love. 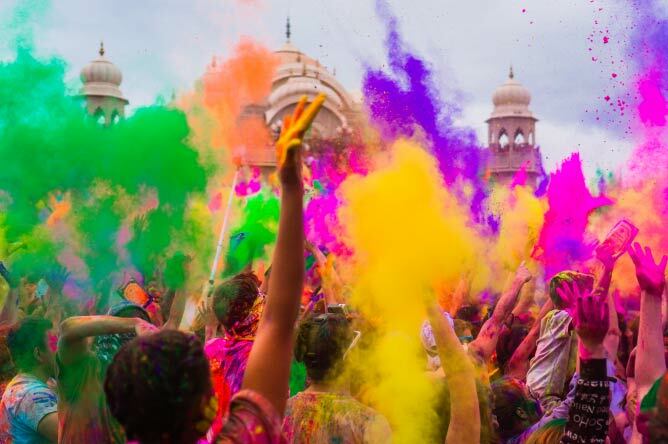 As an ancient Hindu religious festival, Holi has also become popular with non-Hindus in South Asia, as well as communities outside of the continent. 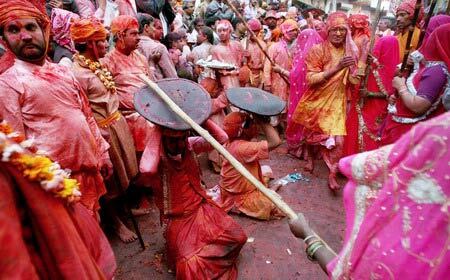 There are different forms of Holi Festival across India, the Lathmar Holi Festival in Barsana involves men with shields being beaten with women and bamboo sticks. 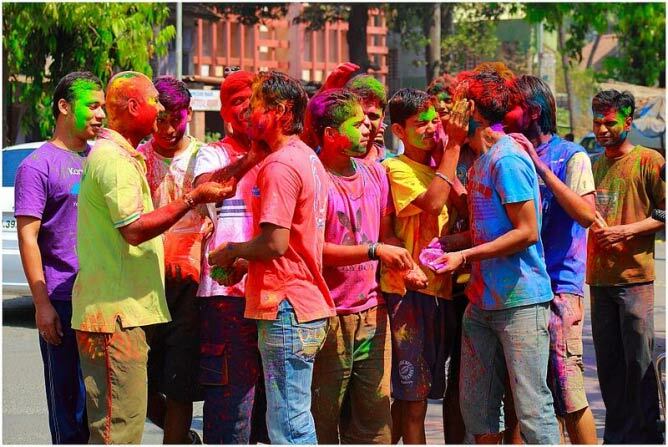 During the celebration, the men attempt to fight the women off by sprinkling them with colored chalks. Jaipur’s Holi Elephant Festival, features elaborately painted elephants, elephant polo, and tug of war. The festival typically marks full moon day of Phagun, the 12th month of the Hindu calender. It is increasingly popular upon the Golden Triangle Tourist Circuit in India, with celebrations in Delhi, Jaipur, and and Agra. 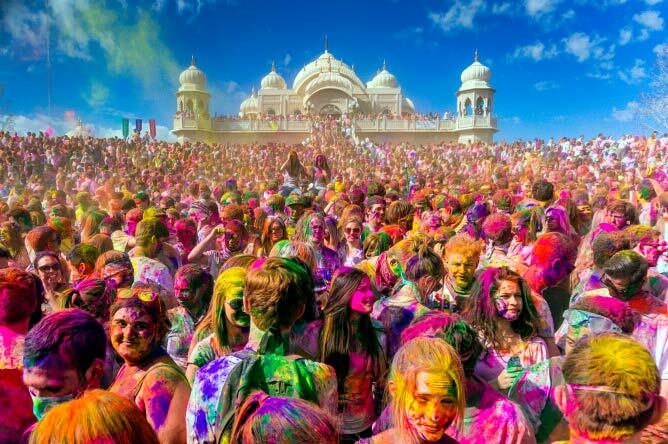 Holi Festival in these cities is distinctively more vivid and jovial than those in southern India, where Holi is often more solemn and more focused on religious rituals. 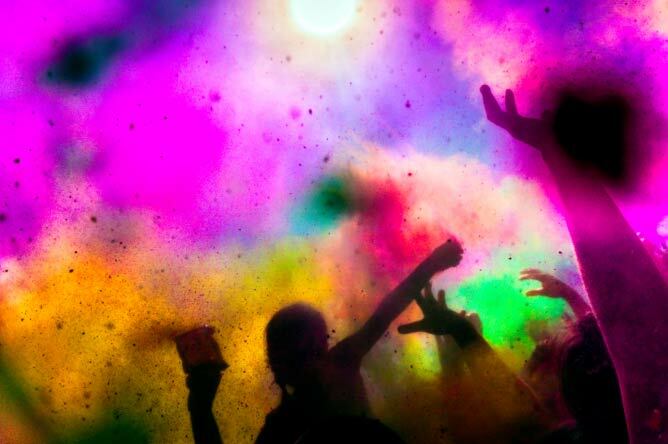 The Holi Festival took place on the 7th of March this year and is due to take place on the 23rd March in 2016. 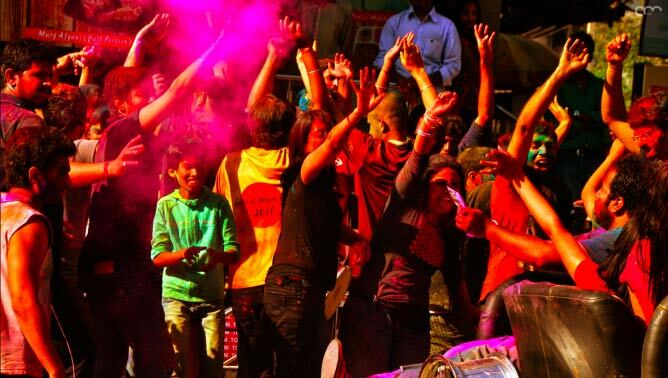 If you missed India’s celebrations this year, you may be able to participate in more secular Holi festivities closer to home.